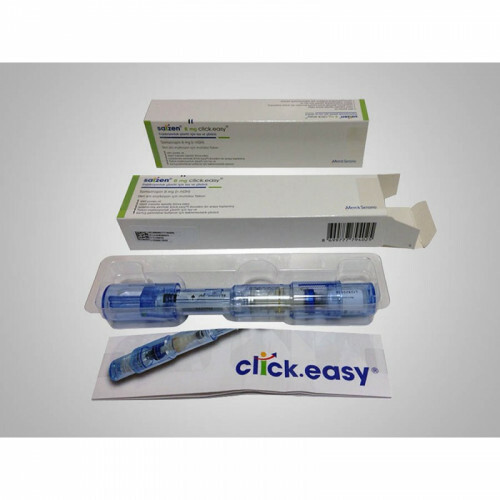 What is SAIZEN *Somatropin* CLICK EASY (8mg) 24 IU Serono? Somatropin is a type of HGH (human growth hormone) which assists with developing muscle and bone. This hormone is utilized by bodybuilders in order to reduce body fat levels, boost muscle tissue growth and improve the density of bone. It may also enhance mental health and give the user a healthier lipid profile. This hormone is also utilized for medicinal purposes. For example, it is sometimes prescribed in order to help those who are dealing with body wasting from HIV, by assisting them with maintaining healthier body weights. It's also used to help those who don't produce enough natural growth hormone. For example, those who are experiencing kidney failure or certain syndromes, such as Prader-Willi syndrome, may benefit from using this hormone. This synthetic form of HGH is lab-created in order to provide the same benefits as natural Human Growth Hormone. This hormone was created in 1981 by a pharma firm known as Genentech. It was created via a collaboration with Kabi, which is a company that produced the very first man-made HGH. Eventually, the collaboration led to the development of a form of technology which is referred to as "somatrem". After this, the process of making synthetic Human Growth Hormone accelerated and a new and improved version, known as Somatropin, was developed. How to Use Somatropin ? 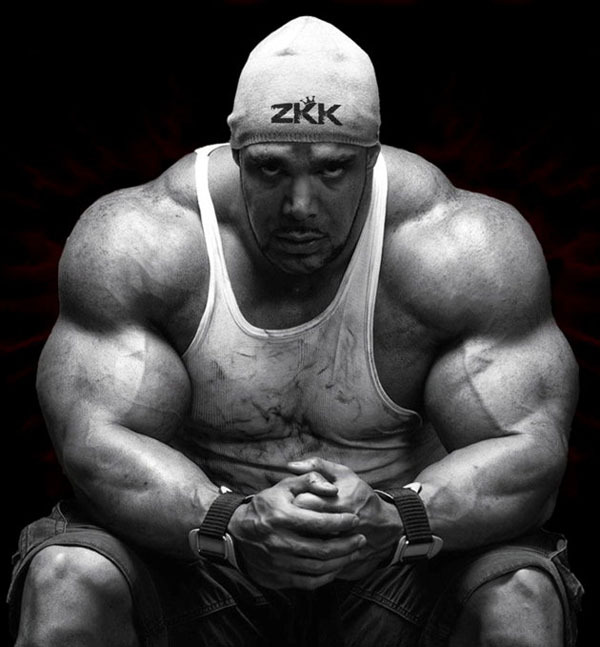 Most bodybuilders who rely on Somatropin inject four UIs of the synthetic hormone each day. This dosage typically allows users to get the key benefit of the man-made hormone, which is delivery of active ingredients to target receptors. This delivery of active ingredients sparks a reaction in the human body which allows users to access the benefits of natural HGH through a lab-created version (Somatropin). Users shouldn't inject this synthetic hormone for more than three or four weeks. Prolonged usage may increase the risk of side effects. HGH effects definitely help bodybuilders to look and feel their best, although side effects may also occur. Key advantages of using Somatropin, with a mind to getting HGH benefits, include enhanced muscle mass development, greater strength, superior muscle endurance, easier weight loss and anti-aging properties. Some people who use Somatropin for bodybuilding or for medicinal purposes experience headaches and fatigue. They may also deal with soreness, rashes, itchiness, redness, bruising and pain at their injection sites. Other possible side effects include discomfort in arms and legs, in addition to joint pain and stiffness. As well, cold symptoms, including sore throats, sneezing and stuffy nose, are linked with the usage of Somatropin. Muscle pain is another known side effect of using this lab-created hormone. Most bodybuilders don't exceed daily dosages of eight IU. However, some may experiment with daily dosages of as much as 24 IU daily. We don't recommend a higher dose. A higher dose of this man-made hormone may trigger bloating and other side effects. When you keep the daily dosage lower, you'll reduce the chances of experiencing unwanted side effects and you should still get the benefit of Somatropin. How to Stack with Somatropin ? Somatropin is a form of HGH which is frequently stacked with an array of other compounds. For example, T3, which is a hormone for thyroid, is often stacked with HGH and insulin in order to promote muscle growth, reduction of fatty deposits and other cosmetic and physiological benefits. HGH is quite advanced in terms of its properties and this is why it's a popular choice with bodybuilders, anabolic steroid users and athletes. Those who've hit plateaus in terms of their development may turn to HGH and stacks which include HGH in order to keep developing their physiques and muscle strength/endurance. Is Somatropin Right for You? Now that we've talked about what this substance is, looked into its background, talked about how to use it, discussed its effects and side effects, shared information about how to dose properly and discussed which other substances are frequently stacked with Somatropin, you'll be ready to decide whether or not it's right for your body. It's always smart to research steroids and hormones very carefully before adding them to your regimen. Knowing what you are putting into your own body is really important. With this in mind, we've made every effort to provide you with helpful and factual information. Somatropin has been around for a long time now and it's a lab-created hormone that a lot of people rely on. Only you know if it's right for you.